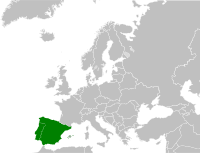 Tempranillo is a red-wine grape originating millennia ago in the Iberian peninsula (today comprising Portugal and Spain). It is generally considered one of the dozen and a half or so of world-class red-wine grapes (those in boldface in the varietals list to the left of the page). Today, it is still a major grape in its homeland, but is also planted in nontrivial amounts in many other wine-making regions globally. It is often described as the signature grape of Spain, which may be an exaggeration. As with almost all wines of the Old World, monovarietal bottlings were traditionally rare; Tempranillo, however, has often been a dominant element in those regionally named blends in which it appears. Tempranillo wines are typically somewhat low in both sugar and acid, which is why other varieties are often blended with it. 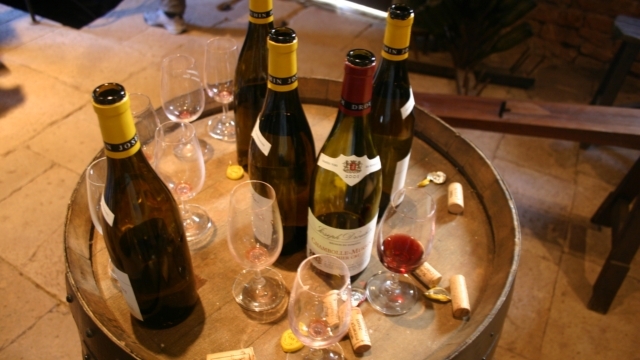 In the modern world, however, with emphasis shifting (especially in the New World) from regions to specific varietals, monovarietal bottlings are more common than formerly. Tempranillo does not do well in hot climates, which is why it has long been cultivated mainly in the northern regions of Spain and Portugal. 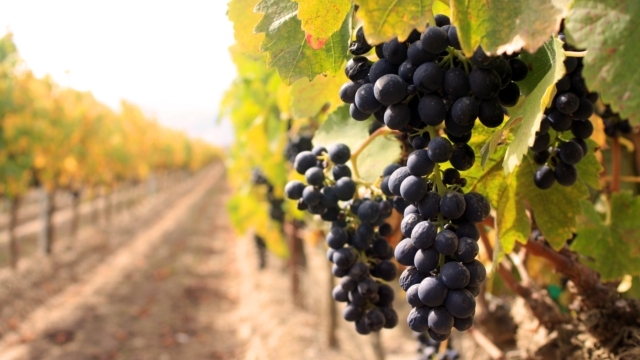 The main Spanish appellations for Tempranillo-based wines are Rioja and Ribera del Duero, though with the varietal's increasing popularity, plantings elsewhere in Spain are appearing. In Portugal, it is not quite as major a player, but participates in the wines of central Alentejo and Douro. In the U.S., Tempranillo is emerging as the signature grape of the rapidly developing Texas wine industry; it is also grown in the usual other places, California, Oregon, and Washington State. Extensive plantings also exist in the wine-making countries of South America, Argentina and Chile, as well as in the emerging Mexican wine arena. Tempranillo wines are typically quite dark in color. Its aromas and tastes are those of a major red wine: berry, tobacco, leather, vanilla, herb. Blends tend to make wines that are intended to be somewhat more fruity. Joven: aged up to 12 months in oak; meant to be drunk young, and so essentially "lightweight" in all senses (though still satisfying). Crianza: aged at least one year in oak (typically 1 to 1½ years) and at least one more year in bottle; what one might call "basic" Tempranillo, the everyday wine in its homeland, and often an excellent bargain. Reserva: aged at least a year in oak (typically 1½ to 2 years) and at least 2 more years in bottle; these tend to be bigger and darker and more complex wines—"A Friday night wine" as Ms. Schneider puts it. Good bargains are still possible. Gran Reserva: aged at least 24 months in oak and at least 36 more months in bottle; these are what the winemaker thinks are his best Tempranillos, and a Gran Reserva at any sort of civilized price is a good (and unusual) buy indeed. Factoid: Tempranillo appeared in Iberia in the time of the Phoenician colonies there; the Phoenicians spread winemaking knowledge throughout their expansive culture. "Tempranillo wines are ruby red in colour, while aromas and flavours can include berries, plum, tobacco, vanilla, leather and herb. Often making up as much as 90% of a blend, Tempranillo is less frequently bottled as a single varietal. Being low in both acidity and sugar content, it is most commonly blended with Grenache (known as Garnacha in Spain), Carignan (known as Mazuela in Spain), Graciano, Merlot and Cabernet Sauvignon. Blending the grape with Carignan makes a brighter and more acidic wine." "Tempranillo is best known as the dominant grape of red rioja, Spain's most famous wine. To make a parallel with the most celebrated blended red wine in the world, red bordeaux, Tempranillo plays the Cabernet Sauvignon part while the much juicier, fruitier Garnacha (known in France as Grenache) plays the role of plumper blending partner Merlot. Tempranillo provides the framework and ageing ability, together with the predominant flavour, while Garnacha adds weight. Mazuelo (Carignan) and the much finer Graciano (Morrastel) are also allowed in a Rioja blend. Until the 1990s most red rioja tasted more of oak than grapes. The traditional way of making rioja - ageing for years and years in small, vanilla-scented American oak barrels - disguised Tempranillo's own flavour. But since bodegas in Rioja have seriously begun to age their wines for much shorter periods in French oak, and also to export young (Joven) unoaked wines, wine lovers the world over have started to come to grips with the essence of Tempranillo itself. The flavour of Tempranillo is essentially savoury rather than sweet. The characteristic smell has hints of leather but the phrase I use most often to describe it is 'fresh tobacco leaves' - even though, as is so often the case with these useful 'trigger words', I am not at all sure I have ever actually smelt fresh tobacco leaves themselves. There is something sappy, fresh and vegetal about it, but also something definitively masculine, the sort of smells you would expect to find in a stereotypical man's dressing room - which is, I suppose, where the leather comes in." "Tempranillo, arguably the most famous of Spain's native grapes, is a vibrant, aromatic varietal that offers spicy, red fruit aromas and flavors. . . The varietal is at its best in top Riojas, where oak aging is employed to generate increased complexity and harmony. From the best sites, these wines can be remarkably concentrated with great aging potential. New wines from this region are darker, and more robust, with more dynamic primary fruit flavors than traditionally styled examples. These wines seem to reflect the influence of Spain's other key region for Tempranillo, Ribera del Duero. Regardless of style, Riojas tend to be medium bodied wines, with more acid than tannins. These wines generally feature Tempranillo blended with Garancha, Mazuelo, and Graciano. For these wines, there are three quality levels, which will appear on the label. Everyday drinking wines fall under the category of "Crianza", "Reserva" denotes more complex and concentrated wines, and "Gran Reserva" refers to the most intense wines, made only in the best years. . . In Portugal, Tempranillo is called Tinta Roriz, where it is used to produce wines that are fragrant and complex, with good color, body, backbone, and resistance to oxidation despite possessing only moderate acidity. The second most widely planted variety in the Douro region of Portugal, it is increasingly popular as a stand-alone variety for dry red wines." "When you first taste a Spanish Tempranillo you’ll get hit with the flavor of leather a long with cherries. The finish is mild, smooth and lingers with tannin on both sides of your mouth. American and other New World Tempranillo delivers tons of cherry and tomato-sauce flavors followed by chunky tannin. Tempranillo is technically a medium-bodied wine with red fruit characteristics. If you’ve never tried Tempranillo before you’ll find it tastes similar to Sangiovese and Cabernet Sauvignon. Tempranillo does taste full-bodied on good vintages with the addition of new-oak aging. However, it has thinner skins and larger grapes than Syrah so when you look at it in a glass, it will be more translucent. Because of the style of traditional oak aging in Spain, Tempranillo often has a ruddy-orange hue. While the flavor is big, the texture is usually not oily or thick." "A thick-skinned variety with a high anthocyanin count that makes for deep-colored wines with moderate tannins . . . While it lacks its own idiosyncratic flavor profile, the wide range of aromas detectable in Tempranillo-based wines give it a charm in and of itself, with tasting notes ranging from strawberries, blackcurrants and cherries, to prunes, chocolate and tobacco. The former three notes typically come from younger examples from cooler climates, while the latter three develop with increased vineyard heat and age. Oak and Tempranillo certainly marry well together. American oak in particular is the traditional choice of winemakers in Rioja, and Tempranillo’s flavor profile integrates beautifully with the vanilla and coconut notes imparted by new oak barrels. Further west in Ribera del Duero, the fashion is to use higher proportions of French and used oak barrels to allow Tempranillo’s fruit to shine with a focus on more spiced oak flavors. As time passes the two styles are consolidating and the consumer is being rewarded with wines of greater complexity. Tempranillo grapes are not known for their naturally high acidity, and it is all too easy to find flat, overblown Tempranillo from [hot, dry areas]." "In the last couple of decades, a new generation of producers in Spain has been tinkering with the old ways, kicking the blending grapes to the curb and going straight-up with Tempranillo-centric versions and using French oak (prior, the Spanish—and many fans of Rioja to this day—preferred the effects of American oak on the grape), or a combination of both French and American, for aging, and some of that can be credited to the discovery of the charm of Spanish wines outside of Spain, with Tempranillo’s popularity breaking through." "This versatile grape is capable of yielding big, full-bodied reds with firm tannins and loads of complexity to very light and easy-drinking wine with light tannins. Typically Tempranillo yields red wines with red-fruit flavors, which include cherry and ripe strawberry with rustic nuances of leather and earth. With substantial oak aging such as the Gran Reservas of Rioja, Tempranillo produces elegant and complex wine with multifaceted layers of flavors." "Tempranillo aromas and flavors often combine elements of subtle berry-like fruit, herbaceousness, an earthy-leathery character (which is sometimes mistaken sensorially for Brettanomyces), and good minerality. While its varietal character can be distinctive, it is also somewhat vague and easily overpowered by oak. Not often bottled as a stand-alone varietal, but frequently used as the base variety in blends, its most frequent mates are grenache, (aka garnacha in Spain), carignan (aka mazuelo in Spain's Rioja region) and, more recently, cabernet sauvignon." "When judging a wine in single-blind tastings—meaning we knew the variety, but not the producer—it is important to look for "varietal character". With Old World Tempranillo, that means savory notes of leather and dried herbs, tobacco leaf and subtle red fruits. But in Washington, we get much more fruit, and when you add oak-barrel aging to that, the wine may be much different than its Old World counterpart, full of raspberry and plum, herbs and vanilla, with a brighter acidity than in the hottest areas of Spain." "This doesn’t mean that Tempranillo produces a single style of wine. In weight and structure, it can vary from a light, strawberryish, tapas-bar quaffer (the sort of thing my beret-sporting friends in Cenicero might drink) to a dark, sturdy, tannic red that will age for half a lifetime. That said, the structured stuff is rarer. The wines of Ribera del Duero, Toro and a few of the new style are your best bets if you want to try a denser style. In the main, Tempranillo makes soft, comparatively approachable reds with medium acidity and tannin levels and a core of sweet fruit. This may explain why it is frequently blended with Cabernet Sauvignon (in Navarra and Somontano) or a combination of Graciano, Mazuelo and Garnacha (in Rioja). Some tasters find a certain similarity with Pinot Noir, as Rioja, like Burgundy’s great grape, can develop gamey, forest-floor notes with age (Gran Reserva Riojas often display these characters). When young, it has notes of red fruits, blackberries and blackcurrants. The other flavour that is commonly associated with Tempranillo is oak, be it French or the more assertive vanilla-and-coconut-perfumed American barrels. 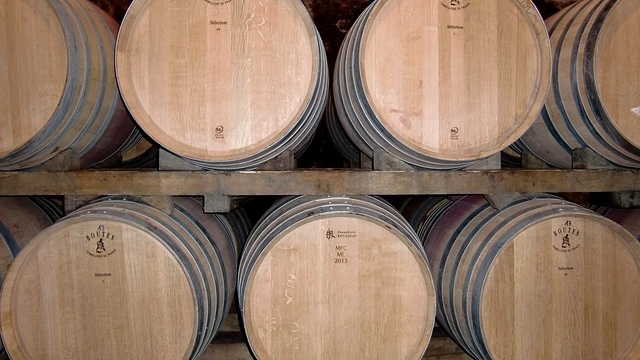 Indeed, for many people, Rioja and the smell and taste of American oak are interchangeable. Not all Tempranillo is aged in oak (sin crianza and joven styles see little or no wood), but the grape does seem to have a natural affinity with barrels." "I love Ribera del Duero. It’s like Rioja on steroids. The wines are usually 100% Tempranillo, but unlike the calmer wines of Rioja, this region’s crazy location and climate produce a ballsy, intense wine with no shortage of acid, tannin, or fruit. The wines are intense, but I love them because they are powerful in a very European way — lots of texture, some earthiness, and layers of "other stuff" besides fruit to analyze. Like many of the wines from Europe, they are shy-er than California wines, but Ribera del Duero is no wimp." At least in the Rioja appellation, whence much Spanish Tempranillo, there is now a significant divide between wineries making Tempranillo in a "traditional" manner and those making it in a "modern" manner, which some might call "internationalized" (though quality is reportedly up now in the modern style). We have included some of each. There is also a lot going on regarding Tempranillo in the U.S.: California, Oregon, Washington State, and now Texas are in the going, though we have here preferred the Old World bottlings. Because we strongly prefer to list monovarietal wines, so as to let you best see the grape for itself, this list omits many fine blends, even those heavily based on Tempranillo; so far as we can tell, every wine listed below is 100% Tempranillo. ♦ For a wine from the 2012 vintage [in 2017] this is a surprisingly youthful wine with concentrated cherry fruit, spice and obvious but not-overdone evidence of oak aging. The structure is sound with juicy acid and lightly grippy tannins. There is enough fruit and structure for this wine to evolve further in your cellar for the next 2 to 3 years but don’t hesitate to try it now. ♦ Some wines defy description, while others just leap out at you; here dark fruit with mocha, vanilla and liquorice deliver the goods. ♦ The high quality of the 2010 harvest is on display here. Enchanting aromas of mocha, toast and black fruits are complex and crafty. This feels fresh, with a hint of tannic scratch. Flavors of spiced cherry, currant and mocha finish with tobacco notes. Given that 100,000 cases of this Reserva were made, the end result is impressive. 91 points. ♦ Attractive fragrant vanilla and strawberry cherry nose with a layer of spiciness to keep you musing. It has a good bit of age to round off the tannins, making it a perfect choice easy pleasurable drinking. ♦ Attractive red ruby coulour with medium-high intensity. On the nose, aromas of black earth, cocoa powder. In addition, iron and black ink. With time in the glass, they evolve into nuances of spices and mediterranean mountain bush. On the mouth, the wine is powerful, structured developing a pleasant sensation of volume and onctuosity that leads to a long finish. Retronasal flavors bring to mind flavors of dark coffee and mocha. ♦ All too often, the wines of Ribera del Duero are too much like hard work, with the fruit straining to get out from under all the expensive new oak barrels used to make them. Not here, though. Entirely oak-free this is an explosively fruit-driven red, with an attractive spicy, herbal and aniseed-bitter twist. ♦ This wine is sourced from young vines of 6-10 years and is unoaked giving the wine a beautiful lively, fruit forward and fresh palate. It has aromas of plums, violets, green olives, fried padrons, cigar box and vanilla. The palate has low acidity, plums, cherry, nutmeg, clove, cured meat and fried padrons. ♦ Very dark purple red violet color; appealing, herbs, tart black fruit nose; tasty, herbs, tart black fruit, ripe currant palate; medium-plus finish. 89 points. ♦ Opens with latex and mint scents that yield to cherry and plum aromas. Grabby and acidic in the mouth, with quick, racy plum and raspberry flavors. Juicy but not all that tasty or interesting. A generic style of RDD. 85 points. ♦ This wine is 100% tempranillo all aged in stainless steel, which means it was meant to be drunk young. Aroma: sourdough. Bright, good finish. ♦ Quite rich ruby, carmine and velvet. Bouquet is old-fashioned concrete wine, clearly reductive, but with plenty of plummy berry. Palate shows rich fruit and plummy flavours hardened by reduced sulphur to give some astringency on the tannins. Our market needs better-selected wines than this, even if sulphide-blind reviewers recommend them. The comments on the web are astonishing, especially from the UK. Not worth cellaring. ♦ This 100% Tempranillo is unbaked and lively fresh with tangy plum and dark cherry notes with hints of sweet herbs, spice and bright acidity. While simple and light it is very easy to enjoy and served slightly chilled it would super with summer lunch or warm evenings. 90 points. 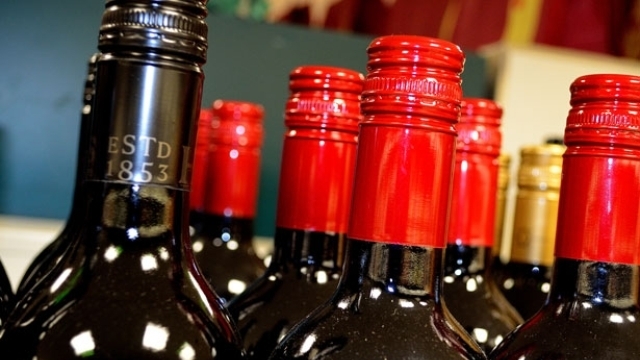 ♦ Earthy berry, spice, leather and vanilla aromas are textbook for the region. This Crianza feels fresh but sturdy, with meaty tannins. Briar, cherry and medicinal plum and berry flavors finish with sweeping chocolate and brambly spice notes. 91 points. ♦ [T]he Celeste emerged from its brown-tinged vessel a deep but not opaque ruby-purple colour and unleashed an array of creamy, dark and fruity aromas, from primary blackberry and black cherry to equally prominent milk chocolate to a series of supporting notes that grounded the exuberance just enough: smoke, burnt candle, asphalt and peppery spice. It was modern and full in style without losing touch with itself or seeming overbearing, kept firm by prominent dusty tannins that rise up on the finish. Chocolate-covered cherries, ganache, violets and cinnamon coated the palate, accented by just enough tar and grime and topsoil to anchor the wine’s lushness in the Old World. This is (obviously) highly enjoyable now and could probably cruise in the cellar for up to a decade. It is big and bold without being brash, with the structure and character that make it more than your standard liquor store bargain. As with any Torres label, buy with confidence. 89 points. ♦ The Celeste begins with a really lovely and expressive nose of dark fruit (blackberry, black cherry, black currant) as well as some vanilla. This medium to full-bodied wine wine tastes simply succulent with lots of juicy fruit and a smooth texture. Beware however that if you simply pop and pour this wine you’re likely to be disappointed, but let it breathe and you will surely be rewarded. It also has some relatively big tannins that I loved. This is a wine you can easily cellar for few years and it will only get better. It finishes dry with tart, lip-smacking fruit flavors and good length. Heavenly! Taste Rating: 10; Cost Rating: 4; Overall Rating: 8.5. A "Bulk Buy". ♦ Big spicy, licorice, black pepper, black cherry jam, smoky, savoury, chocolate and tobacco aromas. Ripe, full, juicy, suave palate with coffee, chocolate, cedar, black berry, plum, licorice, vanilla, savoury, blood orange flavours. Full and rich but with fine ripeness and tannin balance for near-term consumption…A wine that will easily improve in the cellar another 3-5 years. 89 points. ♦ [Google-translated from Spanish:] It is an intense red wine, bright and clean. Very fresh aroma of red fruits and liquorice, also emphasize the spicy and roasted tones of the new barrel. Soft in the mouth, vinous and pleasantly tannic, with a harmonic finish and great gustatory persistence. ♣ This wine has been awarded a Silver medal by Decanter magazine. ♦ Toasty, smoky red and black fruits, sprinkled with milk chocolate shavings. Well structured palate with a refreshing acidity on the finish. Trying to balance quality and—even for a splurge, as these are valued wines—we settled on suggesting the Vinedos de Páganos "El Puntido" Rioja (though not the "Gran Reserva" bottling).